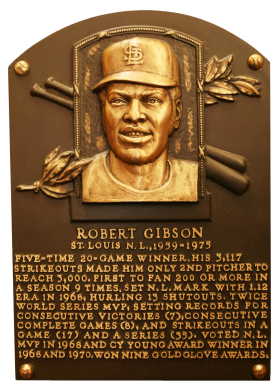 In 1968, Bob Gibson had the second-lowest ERA in modern NL history, a stingy 1.12 while winning both Cy Young and MVP honors. He also won the Cy Young Award in 1970. In the 1967 World Series, he led St. Louis to victory over Boston, winning three times while giving up only 14 hits. 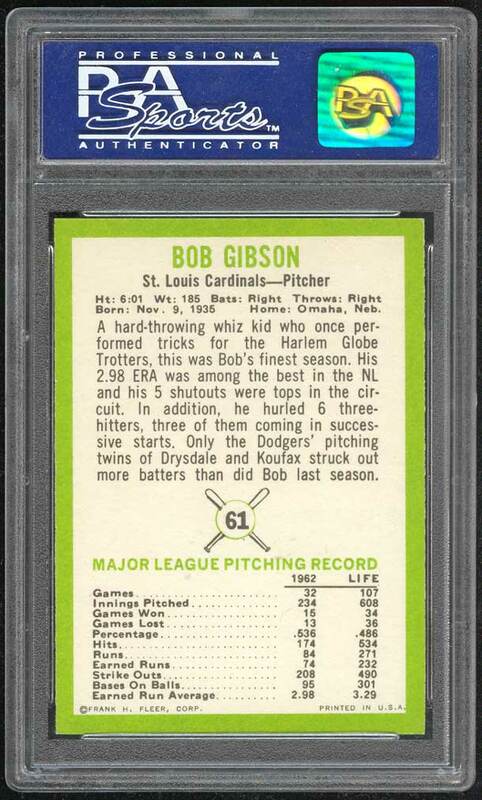 A consummate power-pitcher, Gibson's blend of speed and control resulted in 251 career wins. "Hoot" had a career 2.91 ERA, 3,117 strikeouts, and 255 complete games. Comments: I picked a 1963 Topps PSA 8 as my first Gibson portrait with an eBay purchase in January, 1999 from The Locker Room. I also had a 1963 Topps Billy Williams. 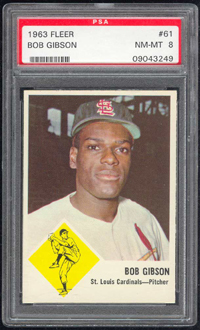 So, in September, 2005 I replaced it with this 1963 Fleer example to further diversify the collection with a new type card while sticking with the portrait theme. The card is super sharp with very strong corners and tremendous color. Beautiful! 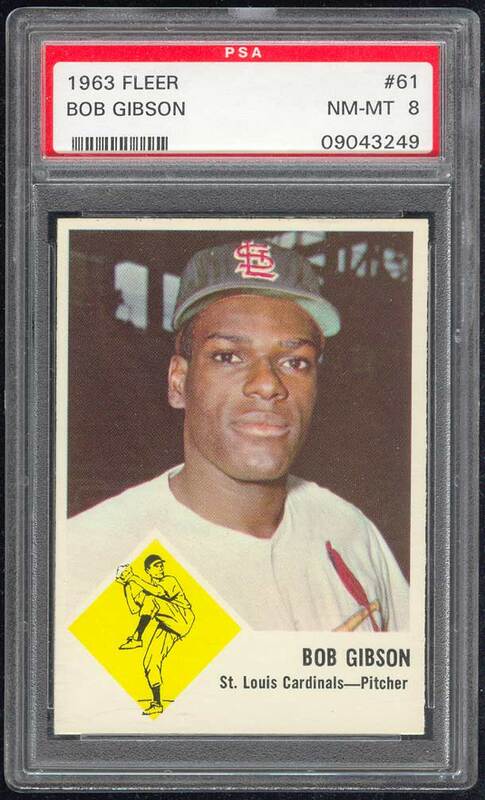 Description: A lawsuit by Topps stopped Fleer's 1963 set at one series of 66 cards. Issued with a cookie rather than gum, the set features color photos of current players. 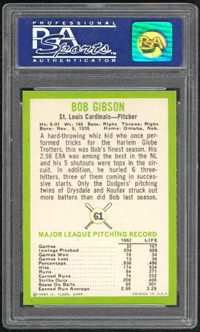 The card backs include statistical information fo 1962 and career plus a brief player biography.